Hello friends! 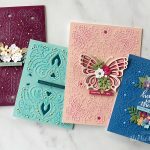 My name is Marisa Job; I am so excited to announce the release of my first collection as a Licensed Designer for Spellbinders. This collection is called Special Occasions and it consists of 8 die sets for making cards, gift boxes, treat baskets and layouts. Here is a picture of some of the projects I will be posting in the near future here and on my blog. 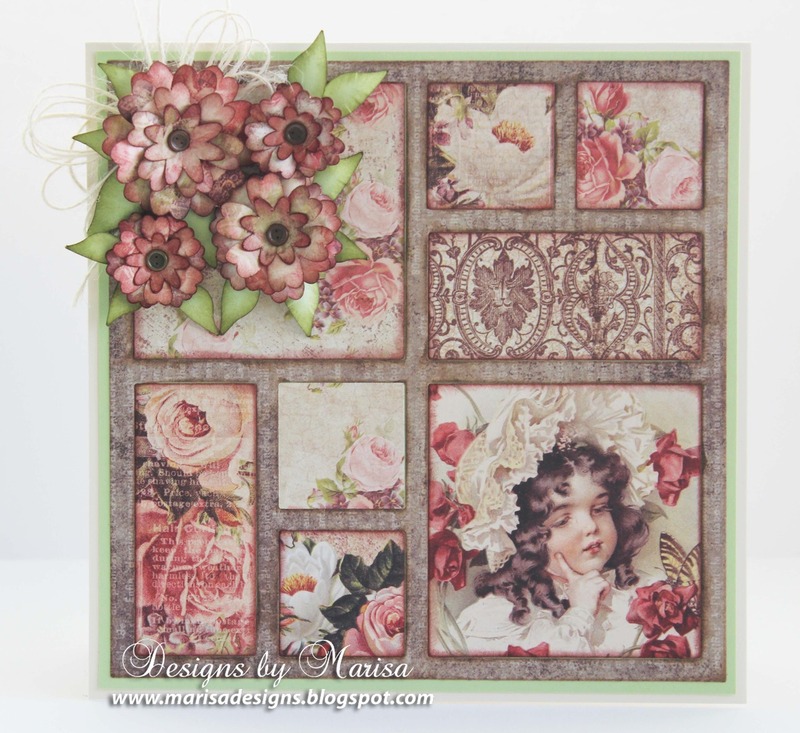 Today I have a vintage card to share with you created with Windows of Memories Die Set. 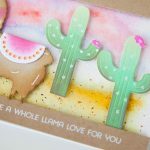 This die set has so many different options, you can use your favorite pictures for a photo collage card or layout, you can also use Christmas designer papers for a Christmas card, the possibilities are endless. I think this card is perfect for a wedding, anniversary or Valentine’s Day. 1. Trim a piece of kraft cardstock to 6” x 12” with paper trimmer. Fold in half to form a 6” x 6” card base. 2. Trim pattern paper to 5 7/8” x 5 7/8” and adhere to card base. 3. 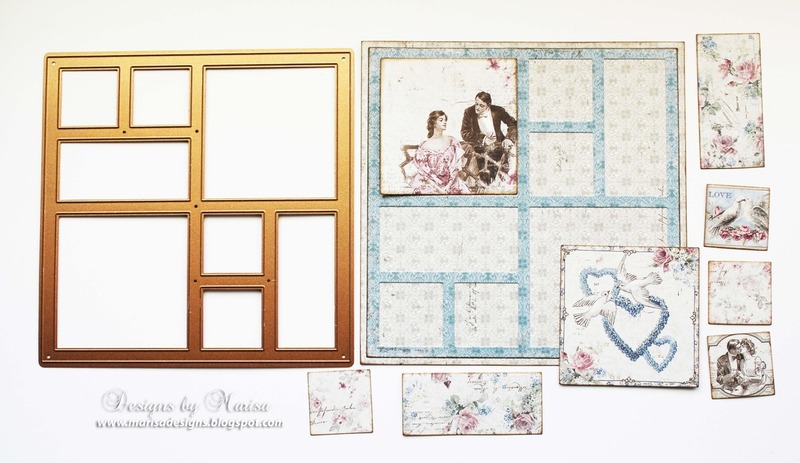 Die cut frame and inserts with Windows of Memories Die Set from double sided pattern paper. 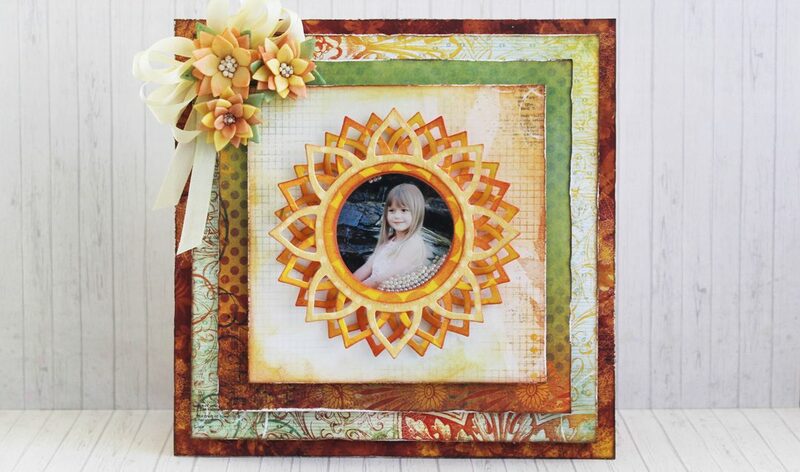 You can use the die to cut specific areas of the pattern paper. Adhere frame to the card base first and then the inserts. 4. 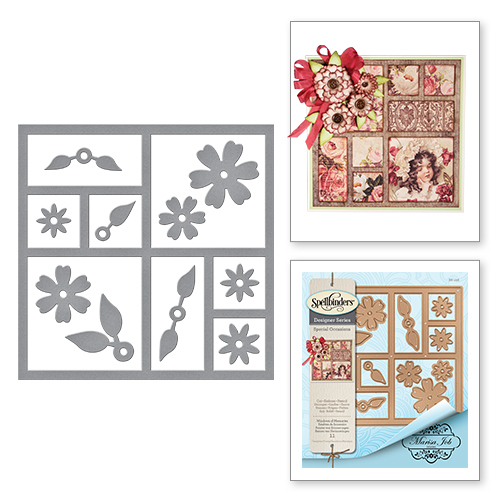 Die cut multiple flowers and leaves using the dies included in the Windows of Memories Die Set from white cardstock. 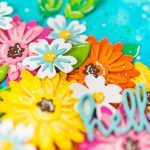 Color flowers with distress inks using the Tool ‘n One foam refills. 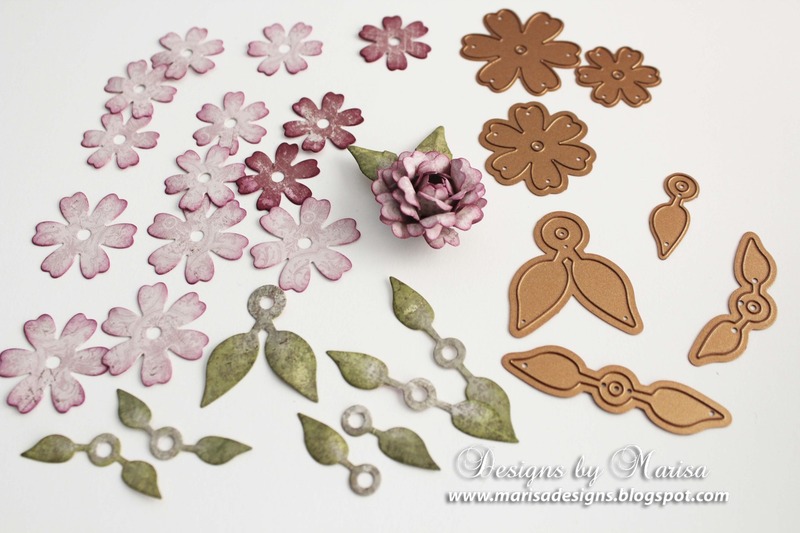 Shape petals with Tool ‘n One Stylus Tips and then glue together to form flowers. 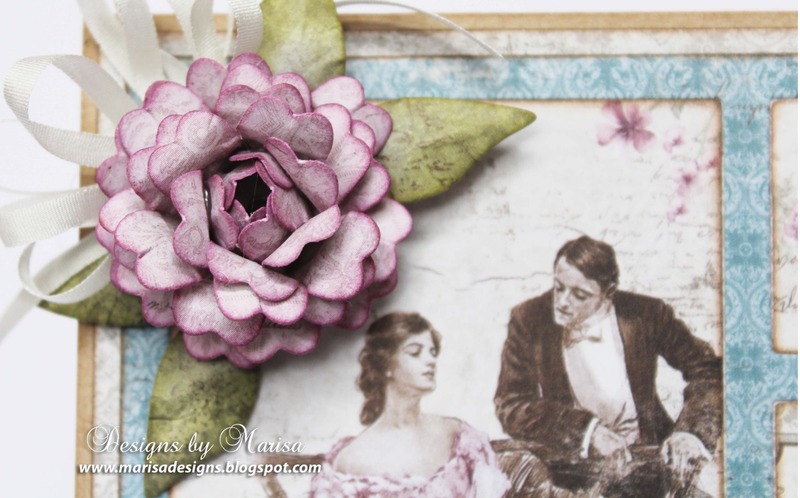 You can also use a brad to layer the leaves and flower petals together. 5. 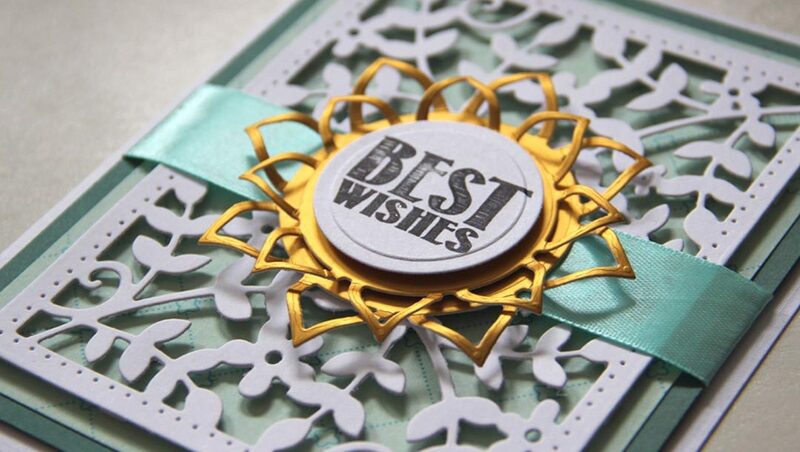 Glue flowers and leaves to top and bottom of the card as pictured below. Make 2 bows using white silk ribbon and adhere under flowers. 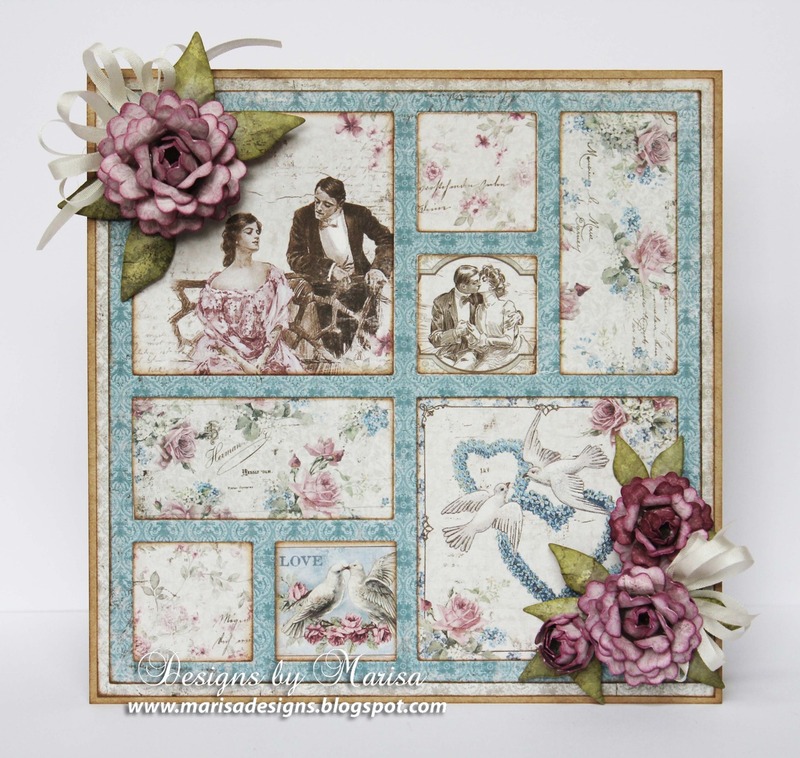 Here is another version of the same card using a different pattern paper. 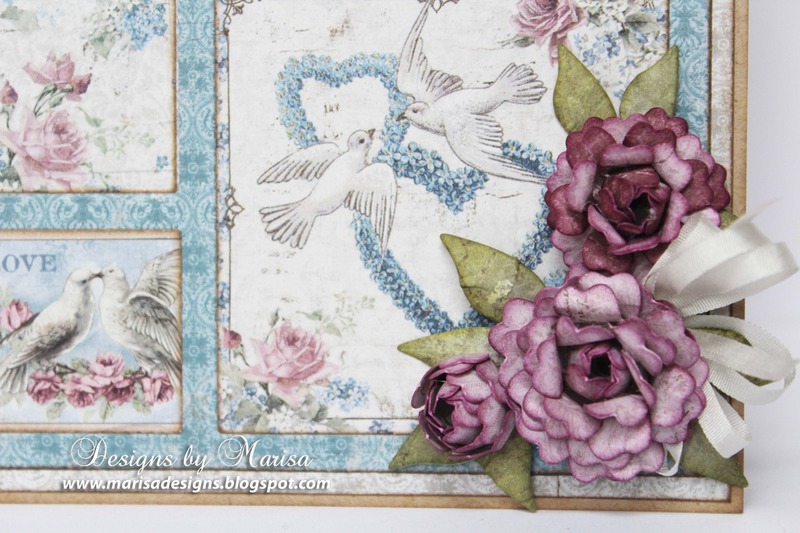 The flower petals and leaves in this card were layered together using brads. This card is featured on the packaging of the Windows of Memories Die Set. 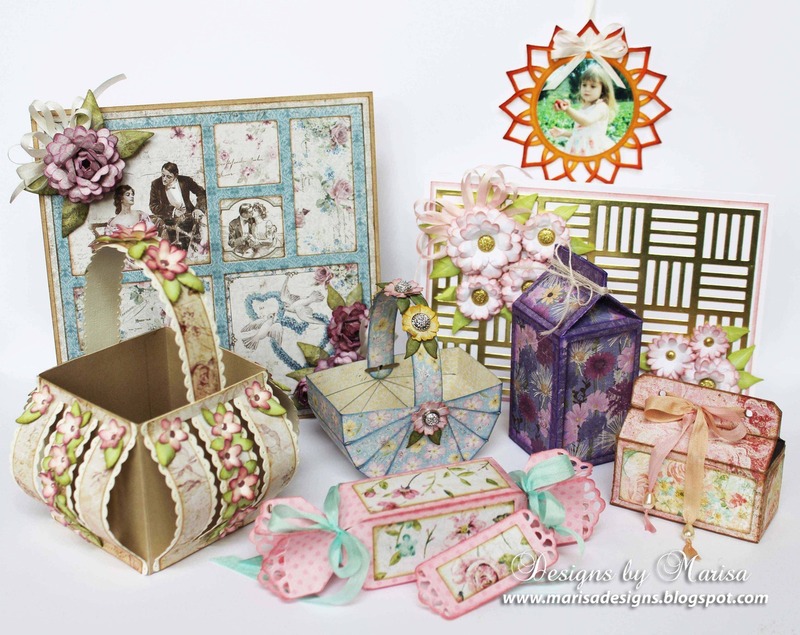 Other Supplies: Kraft and white cardstock, Maja Design Paper – Vintage Romance, Ranger Distress Inks (Peeled Paint, Victorian Velvet, Spun Sugar), May Arts White Silk Ribbon, Prima Marketing – Tales of You & Me Paper Collection. 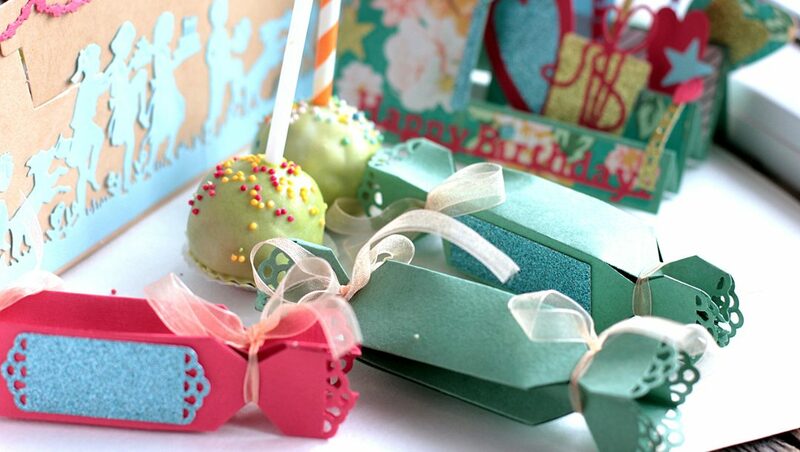 Stay tuned for more projects coming created with the Special Occasions Collection. 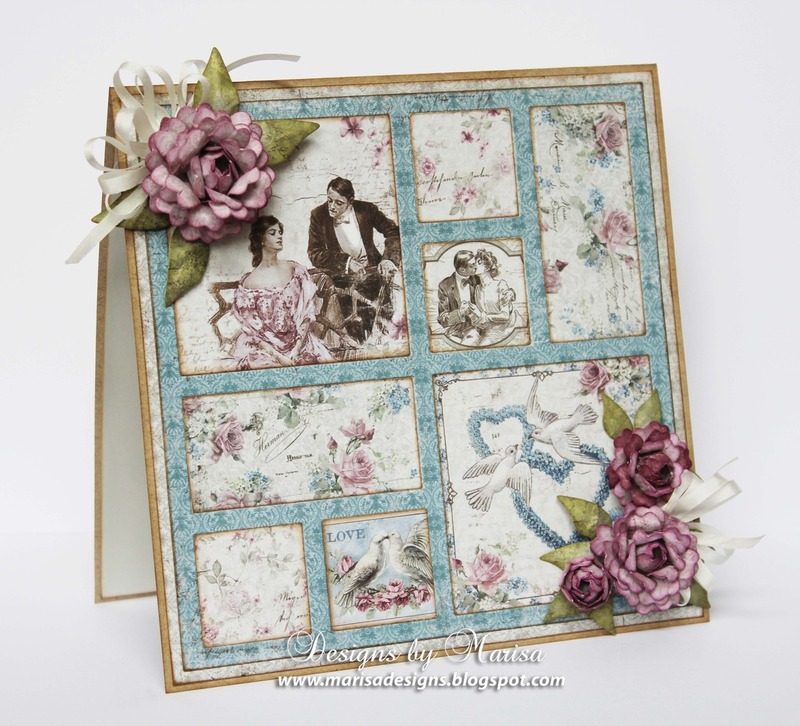 You can see the 8 die sets in this collection by going to the Spellbinders website HERE. Love all your new designs!! Very pretty!